Live on Kickstarter, UFLoss is a revolutionary new solution that makes flossing easier than ever. UFLoss is designed to give you the most custom flossing experience ever- saving you time and providing you optimal cleaning for quality care. This revolutionary technology allows you to do this all from the comfort of your home. 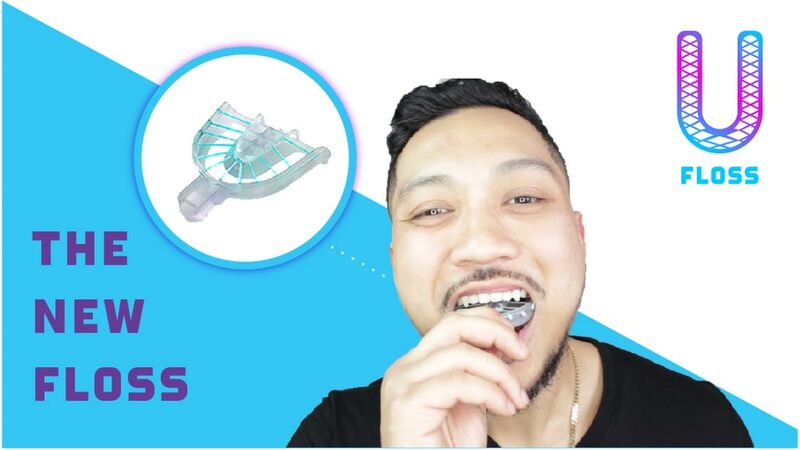 UFloss, the revolutionary new custom flossing solution that allows users to floss every tooth at once, is live on global crowdfunding platform Kickstarter and raising funds to bring the project to life. Flossing can be a time consuming and often difficult endeavor trying to floss each tooth individually and attempting to reach the back of the mouth. UFloss is an all new innovation that bridges the gap between oral care and technology. For the first time ever, users can floss their teeth in unison with a custom solution fit for every smile. 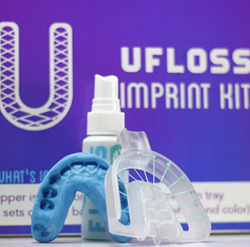 To get started, customers can begin by downloading the UFloss app and ordering an impression kit. After following the instructions and uploading a picture of the impression through the app, the UFloss’ patent pending technology generates a custom fit UFloss and ships directly to the user. Each month users will receive UFloss refills delivered to their door. Every aspect of the UFloss has been developed to meet the highest quality design and health standards. Every UFloss in intertwined with hyper-durable slow-twitch flexile fibers that are lean, limber FDA-approved and the bite plate surface has been designed to evenly distribute every newton of bite force. Smiles! We all love them! From family and friends, to people passing by, smiles are the most genuine gift a person gives. After witnessing, both, the adverse physical effects and the high costs associated with poor oral hygiene, UFloss Founders became obsessed with finding a solution to help future generations combat the effects of tooth loss, tooth decay, and periodontal disease. Irregular flossing is the greatest factor contributing to these issues. UFloss, combines innovation and technology with oral care, providing unique products Designed with Each User in Mind. UFloss is powered by our amazing team, exceptional dental professionals, advisors, and growing partnerships.